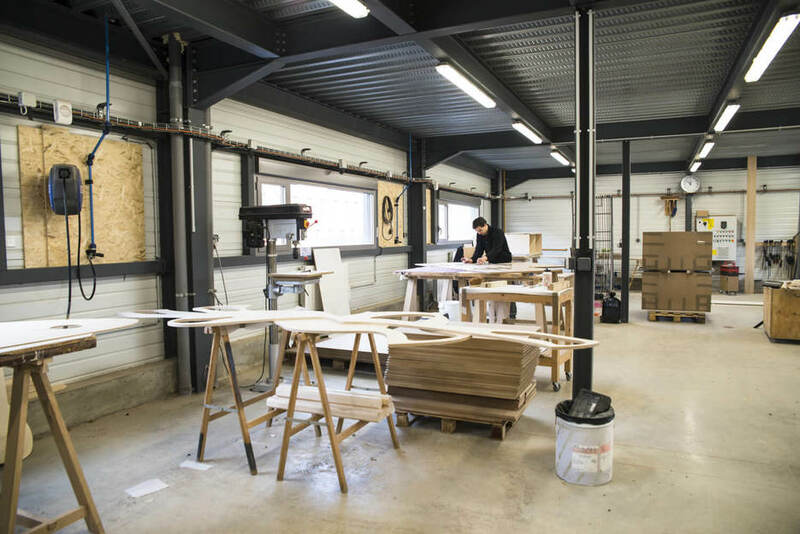 La Fabrique is a professional cabinetmaker, making bespoke furniture, art set-up and part of the Opendesk network for 2 years now. We met with La Fabrique’s co-founders Fabrice Poncet and Nicolas Autric in Francheville, 8 miles from Lyon where they are based. 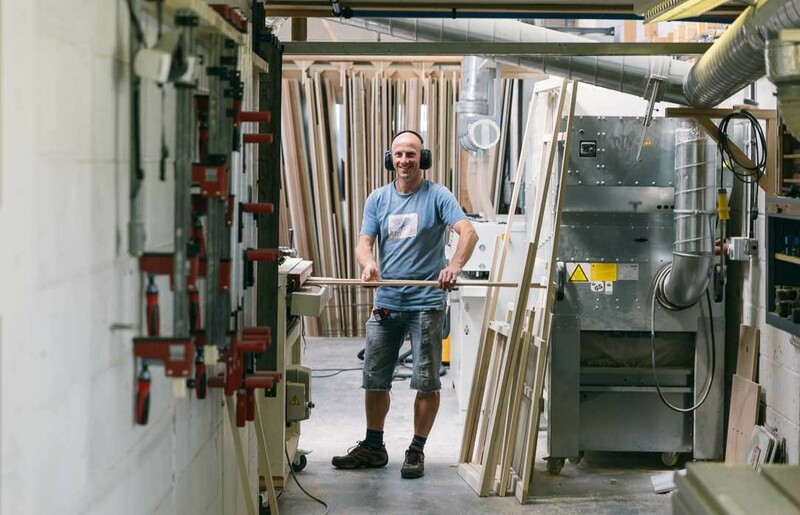 We created la Fabrique in June 2008 with the intent to become a 21st-century cabinet maker: local, collaborative and social. From the outset, we have tried to give space at work to fragile people - whether handicapped, redeployed or dropping out of school - with contracts, training periods, and placements with partner associations. 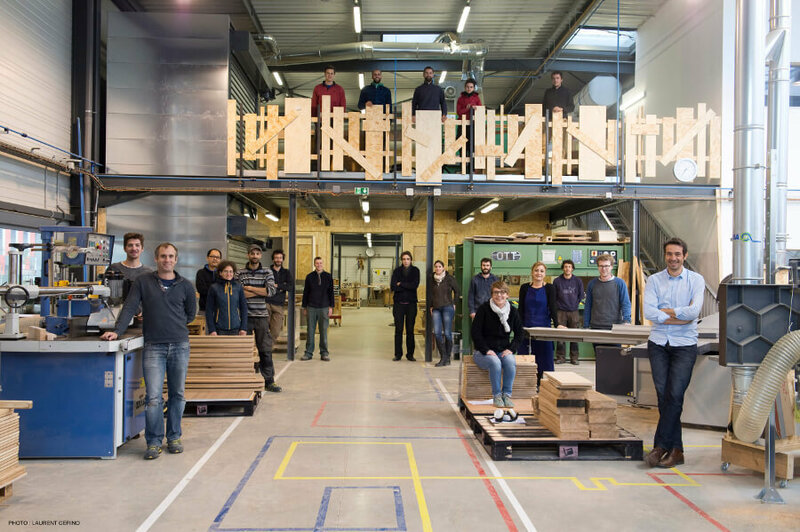 We are building an industrial system where very experienced carpenters and people with few qualifications work together, organised in a team that makes interesting work for all. We believe that it is this work that keeps us standing, and makes us grow: staff must benefit from the good economic performance to which they contribute. Workers’ investment and attachment to the company secures both performance and quality of life at work. We pay attention to the quality of relationships and to the quality of management. We want to recognise and reward the work we do with pride in the products that we produce. We try to work exclusively with French wood and give priority to local suppliers. We try to offer low impact wood: notably block-board panels with softwood cores. We use white glues and varnishes with no solvents. We are working to reduce our energy consumption, to reduce and re-use our waste. 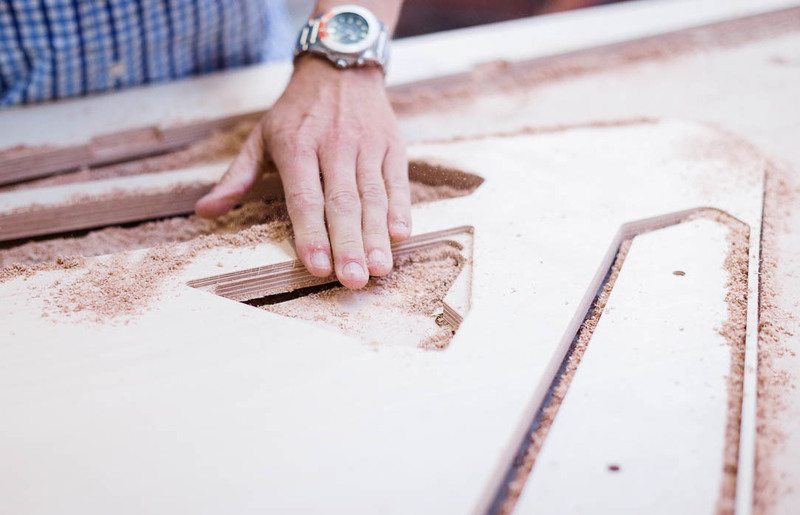 Our wood offcuts are used for heating or re-used by young artists and for DIY. From the outset, we have tried to give space at work to fragile people - whether handicapped, redeployed or dropping out of school - with contracts, training periods, and placements with partner associations. We are building an industrial system where very experienced carpenters and people with few qualifications work together, organised in a team that makes interesting work for all. We believe that it is this work that keeps us standing, and makes us grow: staff must benefit from the good economic performance to which they contribute. Workers’ investment and attachment to the company secures both performance and quality of life at work. We pay attention to the quality of relationships and to the quality of management. We want to recognise and reward the work we do with pride in the products that we produce. Opendesk: How does Opendesk support your mission as social and environmental entrepreneurs? Fabrice Poncet: La Fabrique is not an insertion enterprise. We are a for-profit company that wants lay the foundations in building better businesses for a more fraternal society. Anchored in the commercial sector, we want to be an effective complement to insertion and handicap structures. To take up this challenge, we seek the best social innovations, in our ecosystems, at the heart of our workshop. Like us, Opendesk is a commercial company with a wider mission. We join Opendesk to democratise access to high quality designs, and to industrialise our vision of the massively distributed factory of the future. They are visionaries, creating a platform capable of restructuring the world of furniture: more efficient, more responsible, and, especially, more human. 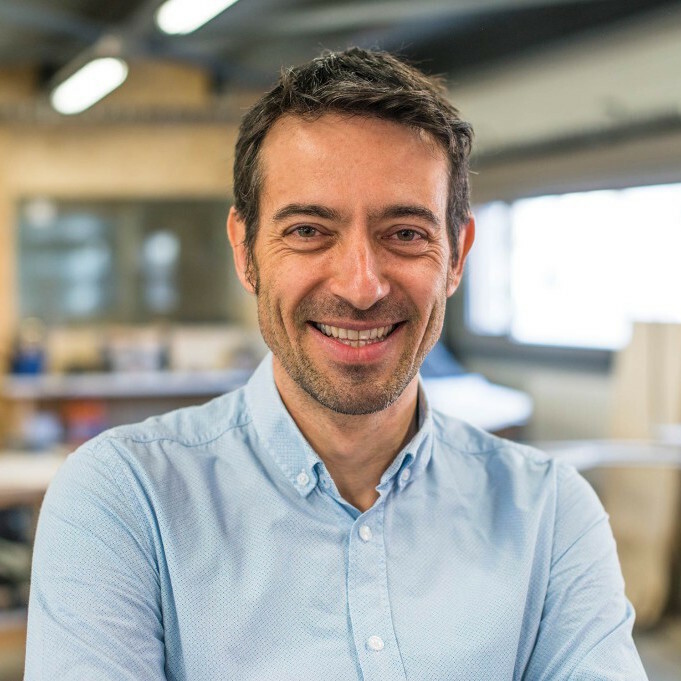 Fabrice Poncet: First, Opendesk - furniture and business models - are designed from a clean sheet of paper, to do better in all areas: more economic, more aesthetic, more functional, more respectful to the environment, and easy to assemble. Next, the Creative Commons licensing system used by Opendesk allows us to share value equitably and to balance our classical commercial transactions with more high human impact initiatives. 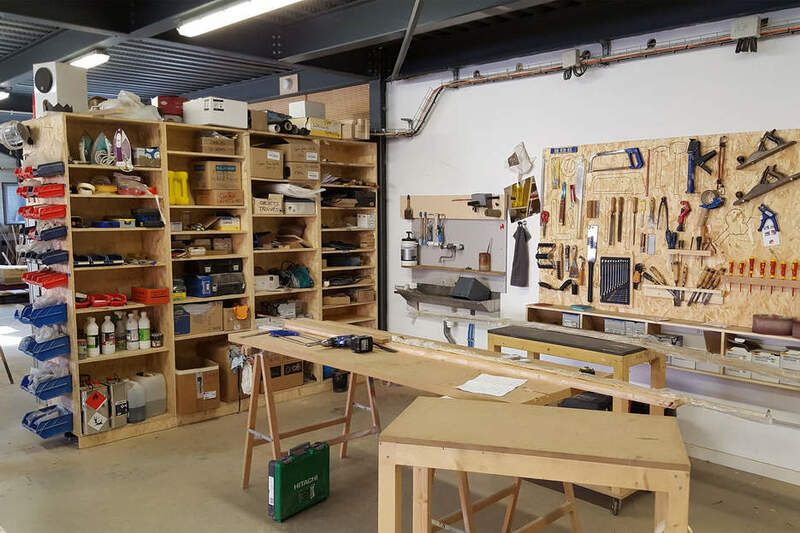 Finally, by publishing our creations around the world, and by providing ‘recipes’ tested for digital making, Opendesk provides us the opportunity to live our project at planetary scale, from within our western Lyon and Rhone-Alpes-Auvergne regional ecosystem. Opendesk: Let’s talk about the MIX project! Fabrice Poncet: We cut the panels using a partner’s CNC machine, since we don’t yet have our own. The MIX’s founders, friends and family then worked weekends to make the furniture. 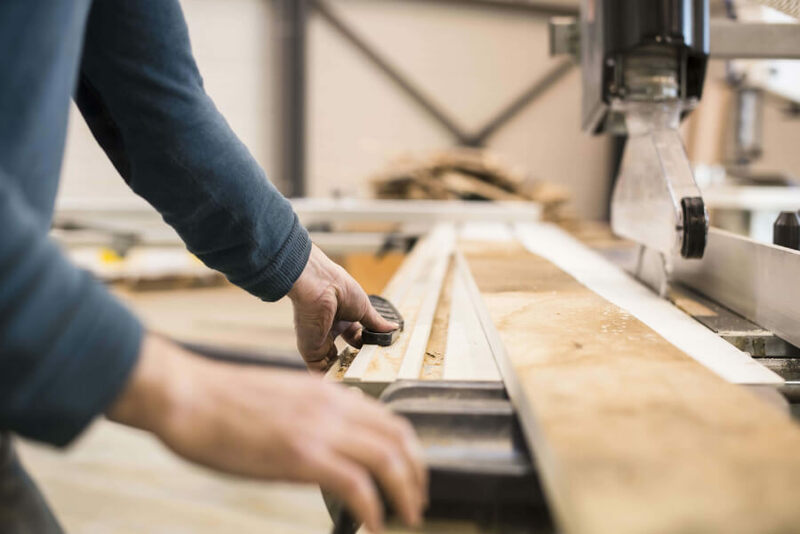 This shows the different options for the same piece of furniture: buying fully-finished from a maker, or investing time for the pleasure of making it yourself, by buying just the cut-out parts. Fabrice Poncet: The MIX experience led us to launch the Open Emploi project: acquire a CNC machine to create 3 jobs for people excluded from work, document this experience, then find enterprises willing to duplicate across France. To complement our current offer, we will propose furniture under Creative Commons licence, like Opendesk. The CNC machining does the complex part of the work. The next steps (de-burring, sanding, assembly, finishing and packaging) can be done by people with handicaps or as part of insertion. We work in close partnership with Opendesk for CC - licensed furniture, with Artibois (mental illness), Le Valdocco (insertion), Les Liserons (autism), Le Prado (protection de la jeunesse) and La Mirly (insertion and handicap). A prize from the AVIVA competition and the support from Umanao.com, a collaborative commerce site should allow us to finance the exceptional expenses: feasibility studies, training, extra supervision, documentation and project dissemination. We want to prove that it is possible to offer 15% of the jobs of a SME to people with handicaps or in professional insertion, in France and without public subsidy. There are 3 million SMEs in France: if each one chips in, then the whole society will be better off! Where amazing design, old school craft and new age digital tooling come together. 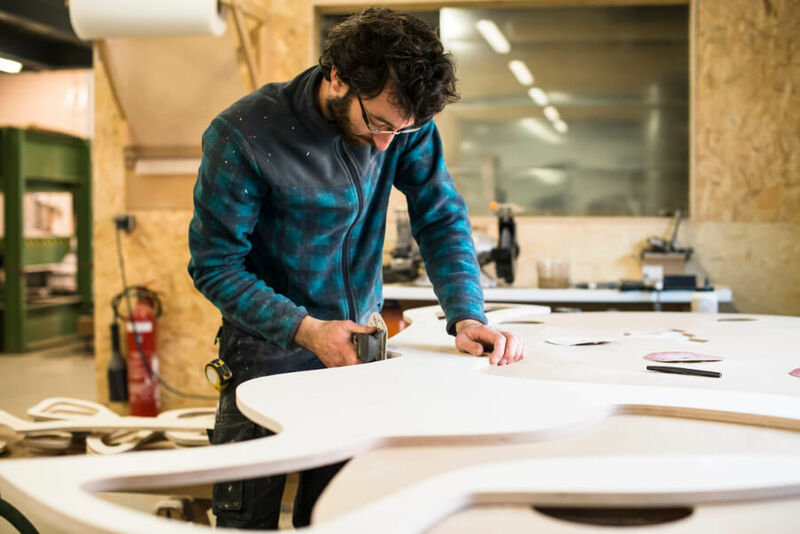 From apprentice woodworker to successful bespoke kitchen maker. We meet Dan from Evie Willow.